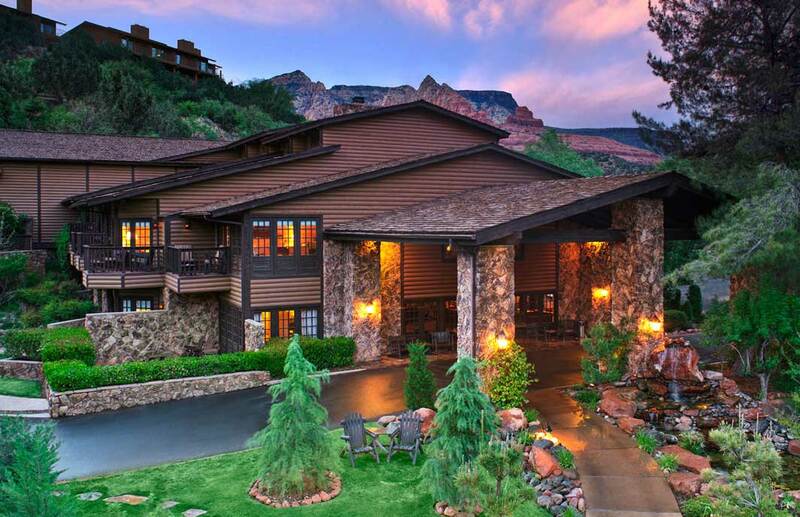 L’Auberge de Sedona, a five star luxury resort & spa located along the banks of Oak Creek in the heart of uptown Sedona, renovated and expanded the properties arrivals building. The project included renovation of the existing reception area, bar and lounge, dining area and kitchen. The design included a new entry and reception area, new bar and lounge and an expansion of the dining area and kitchen. Folding doors were installed between the bar area and the newly expanded deck creating an open concept with spectacular views of the creek. The existing electrical and mechanical systems were upgraded and the kitchen received all new state of the art equipment. New interior finishes and FF&E were selected to enhance the overall guest experience.